A sure winner---a "bird-in-hand!" 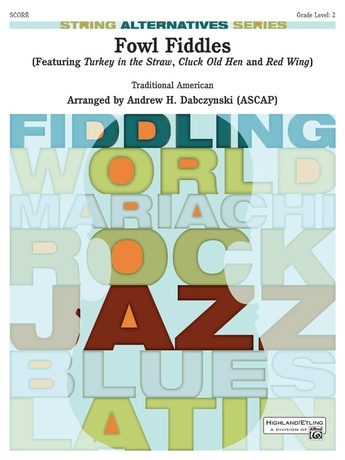 Here's a terrific medley of three beloved fiddle tunes that beginning string players will have the skills to play, but more advanced students will find delightfully challenging. 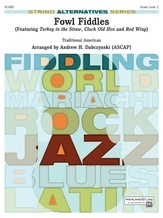 The contrasting tunes---"Turkey in the Straw," "Cluck Old Hen" and "Red Wing"---give all sections of the orchestra a chance to play the tunes and clever variations. Easy-but-effective special techniques extend students' performance abilities and add interest and humor. Certain to delight players and audience alike---two birds with one musical stone!